The album follows the same blueprint laid down by the debut album, classy songs and excellent performances, the differences being the obviously more modern sounding production, and a slightly mellower direction, with some Country touches, no doubt influenced by some of the musicians involved. 'Best Thing I Never Had' is the bright and breezy opener, with a banjo bubbling away under the acoustic and electric interplay of the guitars, and demonstrates Roberts' ability to write a catchy tune, and 'Before I Go' (recorded by Starship on their 'Knee Deep In The Hoopla' album in 1985) and 'Eighth Wonder' follow a similar path. The title track is a dramatic mid-tempo number with a double-tracked vocal and bluesy edge, and reminds me of something Nelson would record. 'Someone Else's Song' is a Toto sound-alike, and the one song that harks back to the debut album the most, and 'Be Gentle With My Heart' is reminiscent of Richard Marx's output in the later nineties, and was written with Randy Goodrum, who was also responsible for co-penning Steve Perry's 'Oh Sherrie' and 'Foolish Heart.' The power ballad 'Stay With Me Tonight' is the outstanding cut of the album, and was co-written with John Waite, and is performed very much in Waite's style, and 'What I've Been Missing' is a classy bluesy ballad to close the album. 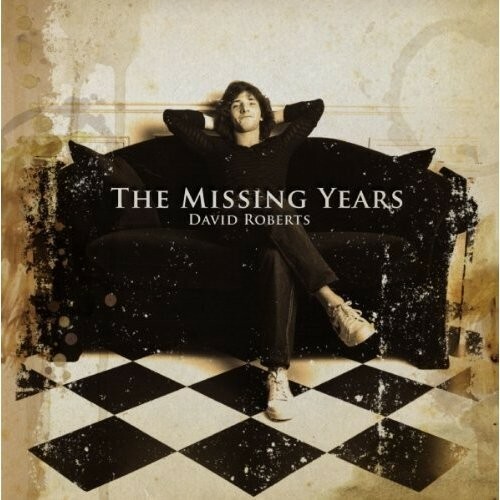 'The Missing Years' album also appeared in 2008, but again only in Japan. In the 25 years since his debut album David had written many songs for other artists, but some were never recorded for various reasons, so he took the opportunity to record them for himself. This time around the majority of the production and all keyboards and programming were handled by David himself. The production quality isn't quite as good as the previous two albums, but by no means bad, and with fifteen tracks it is an even more eclectic collection of songs. The album opens just like the previous two, a gloriously uplifting melodic rocker in 'Run Back' (co-written with Randy Goodrum), and followed by a dramatic mid-tempo number in 'Misunderstood', co-produced with Arnold Lanni (Sheriff, Frozen Ghost), and once again complete with great sing-along choruses. There are a couple more out and out rockers in the shape of 'I Still Believe' and the excellent 'Forbidden Fruit' – regarding the latter, after writing the song 'Tough Times Don't Last' with John Waite and Jonathan Cain for Bad English, Roberts came up with another song in a similar vein, but the band would break up soon after so it would remain unrecorded. A real shame, as it's a huge anthem, again you can hear John Waite's style all over this song, and you can just imagine what Neil Schon could have done with the guitar solos. As with all the Avenue of Allies releases, the albums have extensive booklets with lyrics, new liner notes and track-by-track comments. 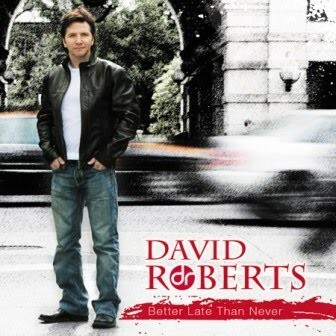 David Roberts is a new name to me but I've really enjoyed discovering his music. If you have any interest at all in the Westcoast/AOR scene, then you can do a lot worse than pick up any of these great quality albums.